Note: Net neutrality is the fourth item on the docket, so expect to wait over an hour before it comes up during the meeting. The FCC will officially vote on this repeal later today. The five (3 Republicans, 2 Democrats) commissioners at the FCC will meet at 10:30 am ET, 7:30 am PT. If you want to follow the meeting, the vote will be livestreamed here. 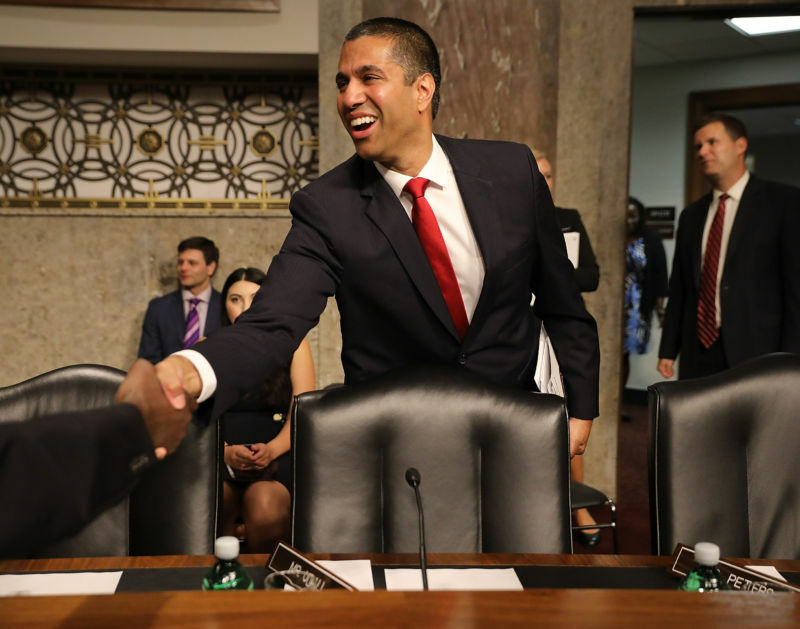 Lawmakers from both sides of the party lines have reached out to Ajit Pai, Chairman of the FCC, to delay the vote and let it be resolved by the elected members of the Congress. While everyone expects this vote to go without any hiccups (since the Commission is Republican-led), the recent opposition by some of the lawmakers from the party does make some hope they might vote to protect consumers and not empower big corporations. The Commission received an overwhelming number of comments from the public, however, isn’t going to take those views in considerations. New York Attorney General Eric T. Schneiderman had repeatedly asked the Commission for access to the systems or logs that could help law enforcement to verify the validity of those comments – the FCC had previously claimed that it was a victim of a cyberattack and that many comments were fake. Yesterday, Schneiderman’s office released analysis showing that at least 2 million comments stole real Americans’ identities, voting in favor of the repeal. Following this, 18 attorneys general wrote a letter (PDF) to the FCC to delay the vote amid such controversies and public outcry. “As state Attorneys General, many of our offices have received complaints from consumers indicating their distress over their names being used in such a manner,” they wrote. However, Pai has always been clear about the net neutrality repeal – these protections have to go away no matter what. The ex-Verizon employee has a mission to kill the internet as we know it. The vote will not only enable telecom giants to slow down access to their competitors and prioritize their own content, it will also protect them from government regulation. Pai believes he will demand the ISPs to make promises to be transparent and that it will be enough… For what it’s worth, You can still reach out to your elected representatives to call for a delay of this vote.